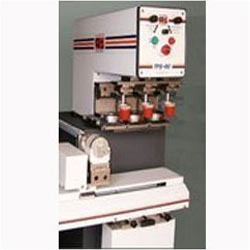 Prominent & Leading Manufacturer from Mumbai, we offer indexing shuttle rotary printing machine. We feel proud to introduce ourselves as one of the leading manufacturers and exporters of Indexing Shuttle. Our offered indexing shuttle is manufactured using utmost quality components and innovative technology by our skilled professionals. The offered indexing shuttle can be customized in various specifications and designs in order to fulfill the demands of our customers. To deliver defect free products to our clients, this indexing shuttle is tested on various quality parameters. Looking for Indexing Shuttle ?